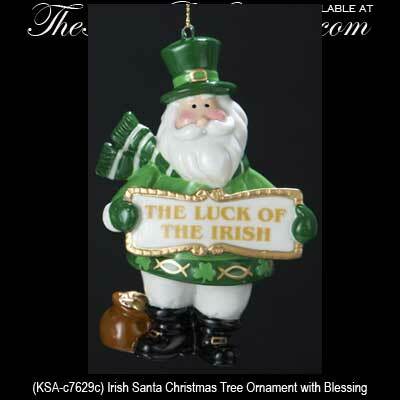 Irish Santa Christmas Tree Ornament with Shamrocks, a Pot o' Gold and Blessing. with Shamrocks, a Pot o' Gold and an Irish Blessing Sign. Dimensional Design, 4" Tall x 2 1/2" Wide, Made of Porcelain.